St. Luke’s has sued Idaho’s prison healthcare contractor over what it claims are low reimbursement rates and underpaid medical bills. In 2011, St. Luke’s contracted with Corizon Health to treat certain inmates at a discounted rate from what the hospital normally charges. In a lawsuit filed late last month, St. Luke’s alleges Corizon said it would only reimburse the hospital based on “substantially lower” Medicaid rates beginning in July of 2014. The health group claims the company owes nearly $16.6 million in underpaid medical bills with interest. "St. Luke’s leaders offered to negotiate with Corizon numerous times, but Corizon refused," said Anita Kissee, St. Luke's Public Relations Manager. Corizon denies the allegations, saying Idaho law allows it to pay Medicaid-level rates. "We typically do not comment on active litigation, but in this case we believe it is important for taxpayers and policy makers to understand that like Saint Al’s, Saint Luke’s has been appropriately paid for Corizon Health patients," said Martha Harbin, a spokesperson for Corizon Health. "We find it unfortunate that a charity hospital would seek an additional $16.6 million from state taxpayers to care for patients who, if not for being incarcerated, would most likely access the hospital as indigent patients," she said. But St. Luke's and St. Alphonsus point to a state Supreme Court opinion from January, saying state law requiring prison health costs to be paid at Medicaid rates doesn't apply to private contractors. 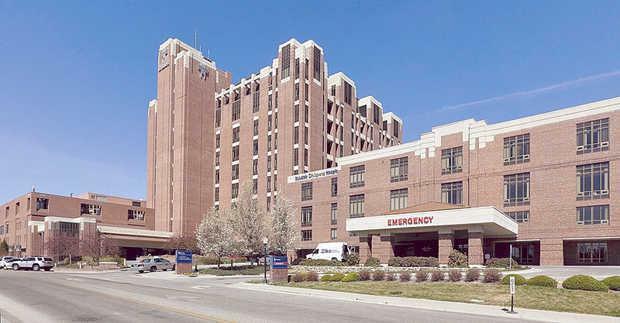 "When you consider Corizon’s inaction, the staggering amount of money owed to St. Luke’s and other Idaho hospitals, and that the Idaho Supreme Court has already rejected Corizon’s justification for paying less, St. Luke’s believes the best resolution is now through the courts," Kissee said.